Here it is, we did it! And now some talking about this 1.0 release. 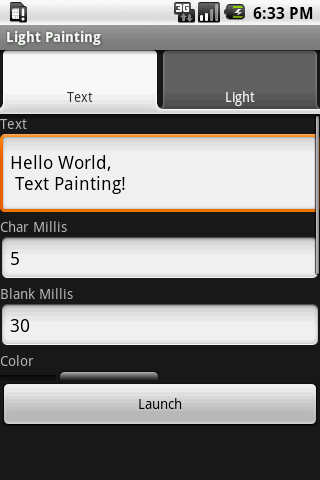 Features text painting with configurable exposition time, colors and typefaces. 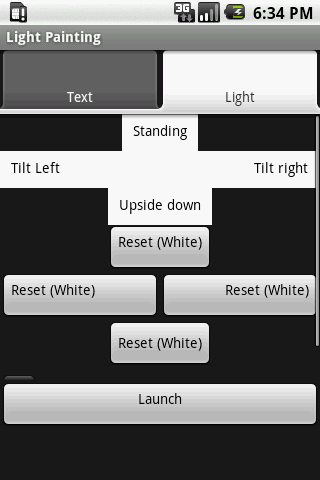 Also there's a handlight mode configurable colors for each tilt device position. And a samle image I've made with my Ixus 70, 5s. exposition. 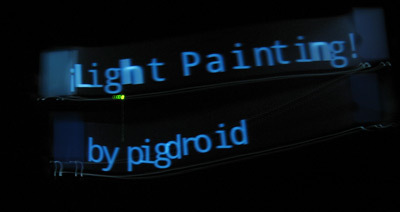 The Light Painting app was configured with 5 milliseconds of character exposition and 30 millis of blank. Published by Pig Droid on 9/14/2010 12:32:00 p. m.